Most of us don’t have a million-dollar budget to maintain the trees on our property, so it’s important when we choose a tree expert to find someone who’s affordable and can do it right the first time—that’s why Aaffordable Tree Experts is the right choice for your New York City home or property. Maintaining and caring for the trees on your property is a big responsibility. Failing to maintain your trees properly can cause damage and pose a safety hazard for your family, visitors, or guests. Maintaining a few trees can be costly, especially considering what some New York City tree services try to charge. 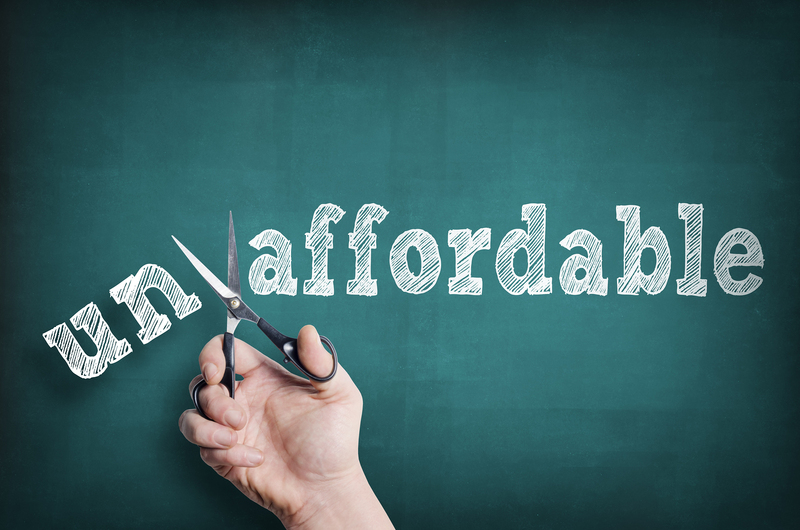 Multiply that high cost by a couple of trees, or factor in the cost of an after-hours emergency call, and it can quickly exceed your budget. 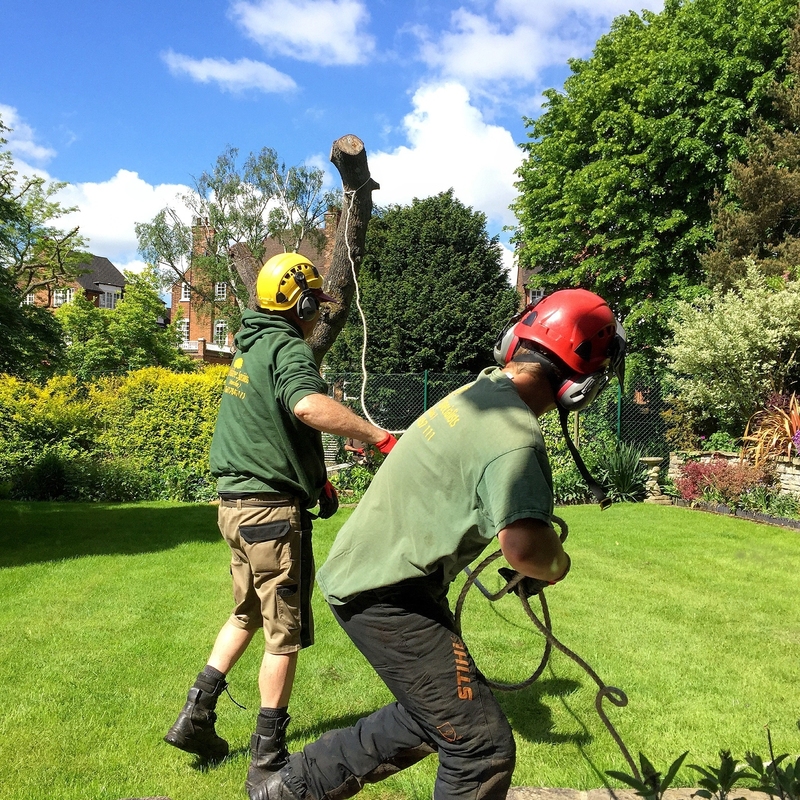 It's important to us that you're able to get the help you need at a cost that's within your budget because we know how vital tree maintenance and care is. We don't want you to forego tree maintenance or storm damage repair due to concerns about cost, so we're an affordable option for your property. We’re always happy to come out, have a look at your trees, and provide an honest quote for services. Give our office a call today. 1Why Use a Professional Service? A tree service has several responsibilities. You expect them to make your trees look beautiful and aesthetically pleasing, which can impact your property values. You expect them to work safely, preventing damage to your property, and you also expect your tree service to work in a way that maintains the long-term health of your trees. For all these factors, you’ll need an expert. You need someone who understands the engineering principles of tree safety, the horticulture of arboreal health, and the artistry of tree trimming. You need someone who will do the job right the first time. A lousy tree service can cost you in property values, homeowner's insurance, repeat work, and replacement trees (if a tree is damaged too severely to salvage). You need the best tree service in New York City—Aaffordable Tree Experts. 2What Makes Trees Look Good? For most property owners, the appearance of their trees is very important. After all, your tree is a large part of the curb appeal of your home or property and may be one of the first things that a visitor notices when they approach. Some types of trees, like boxwood and arborvitae, can be cut or trimmed into attractive shapes that help to enhance or expose the architecture of the home or property. These types of trees look unsightly if left to their own devices, often growing unevenly or in a way that looks messy. Other trees that haven't been trimmed in a while may simply look unkempt. Limbs and branches grow at different rates in different parts of the tree, so you may have one or two limbs extending beyond the canopy of the tree like a hair out of place. As limbs and branches naturally age and break off, they may catch in the tree's canopy, which can make it look scraggly. Removing these limbs can make the entire tree look neater, which can help enhance the look of the whole neighborhood. Proper tree trimming is essential for the long-term health of the tree. As trees grow, they take nutrients and water from the roots and send it into shoots that grow into limbs and branches. When the tree is injured or damaged, it sends extra nutrition to the damaged areas to help them repair, but this may result in a tree that is undernourished in other parts. Because the nutrients and water are finite and limited, trees are constantly deciding where to send their supplies. They'll frequently prioritize new growth over maintaining or strengthening existing growth, but this can sometimes result in a tree that's not very well-suited to surviving a storm, disease, or other forms of damage. Pruning and trimming help the tree to thrive. By removing extra bits that are growing unevenly or weakly, it forces the tree to use the water and nutrients to support and strengthen the tree's core and stronger branches. This process helps to maintain the overall health of the tree, even during times of stress. While your Aaffordable tree expert is trimming your tree, they're also observing. 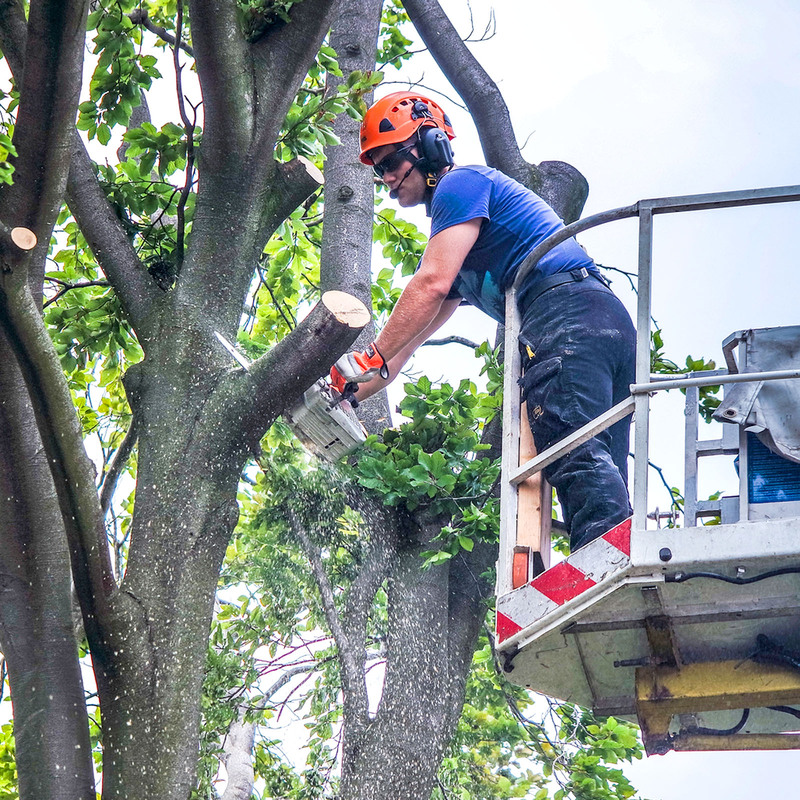 They look for weak or damaged limbs that may fall on someone or your property later on, and they remove them safely before they become a problem. They also examine the tree for signs of disease or decay that might weaken or damage it, and they can help you solve a lot of tree problems before they become irreversible. Keep your trees healthy with regular trimming—we'd love to get you set up with a maintenance plan. Get in touch with our team to get started. 4How Does Tree Trimming Help with Safety? In some cases, tree trimming may be immediately necessary to ensure the safety of the surrounding neighborhood. For example, if the tree has branches or limbs that are growing too close to a power line, those limbs will need to be cut off to prevent the tree from contacting the electrical source. In the case of street trees and some front yard trees, these may sometimes grow to block visibility of drivers in the street or interfere with pedestrian traffic on the sidewalk. Helping drivers see the road makes a safer neighborhood for cars, bikes, and pedestrians, so these limbs may need to be cut back to help promote visibility. Even routine tree trimming can help with safety. In a storm or high-wind situation, large limbs and branches can be torn off a tree, and entire trees can be toppled over. Typically, trees that lose large limbs or fall are trees that were already vulnerable due to pre-existing damage, and regular tree trimming can help to notice and correct that damage. For example, a dead or decaying tree may not be able to grip the soil properly, and a stout wind may blow it over. The trunk could be rotted and hollowed inside, allowing a strong wind to tear the tree in half. Branches that are rotted, diseased, or have suffered previous storm damage may be less likely to resist breakage in the future. As trees, branches, and limbs fall to the ground, they do property damage and can fall on people in the area. Regular tree trimming helps to uncover and solve problems before the wind starts to damage area trees. Make your neighborhood safer. Trim your trees. 5How Do I Get Rid of This Tree? Sometimes, a tree has to go. If it’s dead or decaying, it may need to be removed to make way for new growth. If it’s diseased, it may need to be removed to prevent the disease from spreading to other nearby trees. Other times, a tree is simply in the wrong place. Maybe it's standing in the path of new construction, or blocking a window that wasn't there before. Perhaps it's just impossible to trim the tree in a way that maintains the safety of the neighborhood. Regardless of the reason, sometimes a tree needs removal rather than trimming. In New York City, tree removal can be a dangerous and challenging task. Most parts of the city deal with heavy vehicle and pedestrian traffic and buildings and structures that are densely-packed. It can be a challenge to remove a tree in a way that doesn’t cause any damage or pose a safety risk to the people and property in the area. A New York City tree expert knows that there’s simply no way to remove a large tree safely. If you can’t remove a large tree, you have to make it small first. Your tree expert will start by removing limbs and branches from the tree, stripping it until it looks like a bare trunk with a few knots. Once the branches are removed, they will remove the tree trunk in smaller sections and lower those pieces carefully to the ground. Eventually, all that’s left is the stump. Some people like to leave the stump where it is. It makes a nice bench and can be a great place to sit and enjoy a beautiful day, but if you are planning construction or replanting a new tree, you'll need to have your Aaffordable tree expert use a stump grinder to remove the stump and clear the land. A Affordable Tree Experts can do more than trim and remove trees. 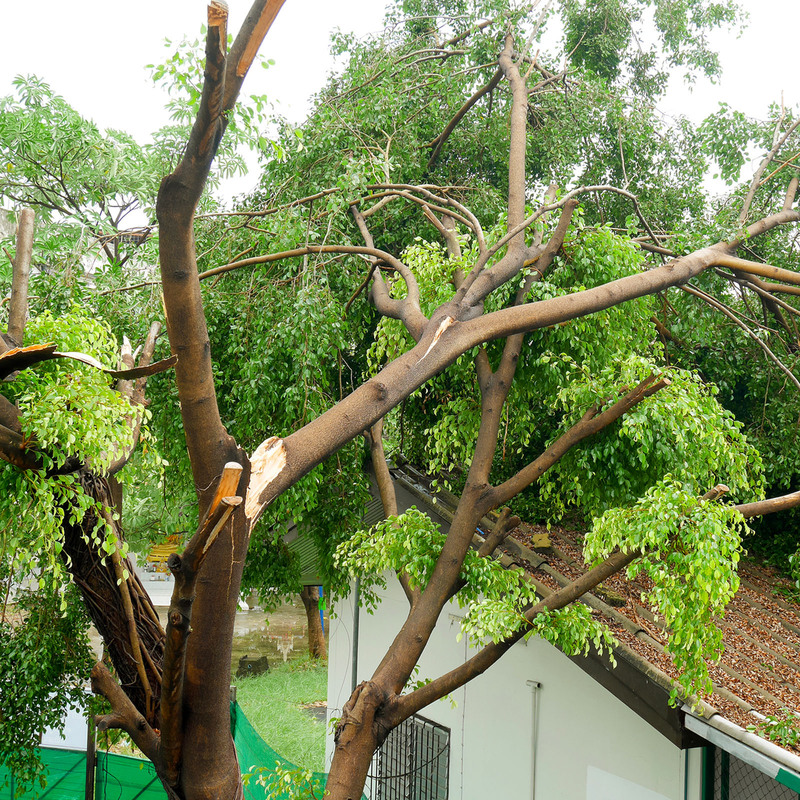 We understand that Mother Nature doesn’t always work according to your plans, so if a storm or heavy wind has caused damage to your trees, you’ll need to clean up the damage quickly and safely. Cleaning up storm damage can be risky, especially if parts of the tree have fallen in a way that makes them unstable. Even if your tree is damaged in the middle of the night, we have technicians available twenty-four hours a day and seven days a week to help provide you with emergency service. If you’re struggling to clean up a damaged tree after a big storm, we encourage you to give us a call so that we can help your property recover safely. Let us help you get back to normal. Contact us today. & See Why We're A Cut Above The Rest! A Affordable Tree Experts have over 40 years of tree removal experience as well as an expert team of tree service professionals that are trained rigorously and are equipped to handle any type of job. Affordable is your local tree trimming company that provides safe and affordable tree services in the Bronx, Manhattan, and surrounding areas. We are fully licensed and insured, and our tree company crew are experts in cutting, trimming, and removing trees that other ‘tree experts’ run from! There’s also no better way to give a tree beautiful aesthetics and a long healthy life than to have trimming and pruning done regularly for maintenance. So If you need tree trimming/pruning services in the Bronx, NYC & Lower Westchester areas, call the Affordable Experts today!